Mar. 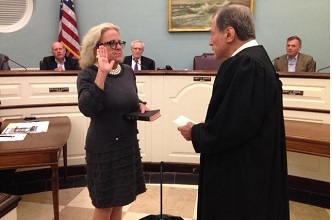 20, 2019: Over the next couple of years, three bridges in Bronxville will be repaired. These are the bridges on Palmer Road, Midland Avenue, and Pondfield Road West. 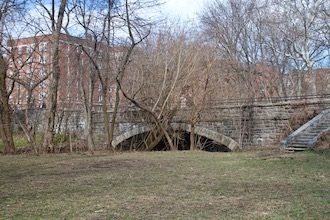 The Palmer Road bridge is the bridge on Palmer Road over the Bronx River Parkway near NewYork-Presbyterian Lawrence Hospital. Work on this bridge is slated to begin in April and there will be no westbound traffic into Yonkers while it is being repaired. 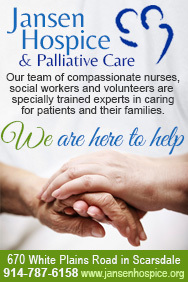 The work will include concrete repairs, decking, stonework, and waterproofing. This bridge work is being funded by Westchester County. View of Palmer Road bridge from road. 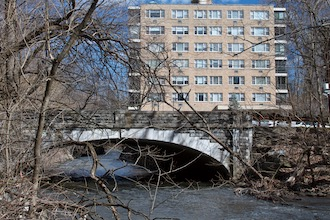 The Midland Avenue bridge is the bridge on Midland Avenue that goes over the Bronx River Parkway. This bridge requires a more complex repair. The center pier and joints will be repaired and the steel beams will be sanded and painted. Con Edison will also need to replace the existing gas line. While this project is under way, traffic will be limited to one lane in each direction rather than two lanes. 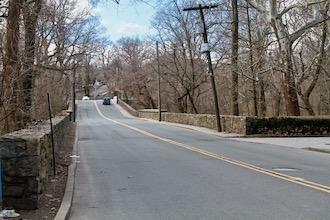 This repair will begin in late summer and will be funded by Westchester County. There could be some overlap in the timing of the work on the Palmer Road and Midland Avenue bridges. 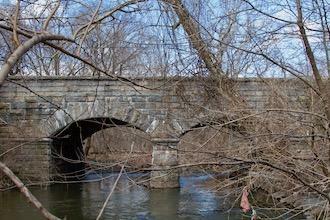 View of Midland Avenue bridge from road. 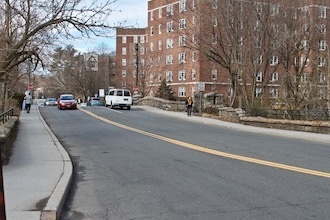 Finally, the Pondfield Road West bridge is the bridge on Pondfield Road West over the Bronx River near the hospital. Work on this bridge is slated to begin in 2020. Pictured at top: Palmer Road bridge.